Altimus; meaning “highest” in latin is the icon wine of the Bodega El Esteco estate. The concept behind this selection is to showcase the true expression of the Cafayate region vintage to vintage. Terroir: Deep, poor, rocky soils. Irrigation from the Andes. Wide thermal amplitude with big differences (approximately 22° C between the minimum during the cold mornings and nights, and the maximum during sunny days). Dry climate, little rainfall, 120mm of rain a year, 15% humidity and 350 days of sunshine. Cold mornings and nights, and long hot days result in wines that are highly concentrated in color, aromas and flavors with a unique fruity character. Vinification: Altimus is the icon wine of Bodega El Esteco. A winemaker’s blend that changes from year-to-year. Altimus is made from the estate’s best parcels and from the harvest’s best grapes. Harvest is done either very early in the morning or at night when it is cooler and put into small 15 kg cases. A second selection is done in the crushing area and just the free run juice, which has greater concentration, is used for Altimus. Each varietal is vinified separately. After alcoholic fermentation in small stainless steel vats and spontaneous malolactic fermentation, the juice is pumped over to obtain maximum color concentration before being placed in small French barrels to be aged for 18 months. After aging, the final blend is made and bottled unfiltered and un-stabilized to keep the unique character. Altimus shows cherry, plum, chocolate, vanilla and nut aromas, with spicy anise notes. On the palate, there are flavors of ripe plums, raisins, dried fruits and spicy black cherries. The wine is balanced and shows ripe, soft tannins and a long finish. 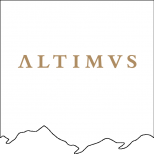 The 2012 Altimus is a Malbec-based blend from Cafayate with 25% Cabernet Sauvignon and 14% Cabernet Franc fermented with indigenous yeasts in a combination of barriques, stainless steel tanks and oak vats where the wines aged for 12 months. The different wines are blended and matured for a further six months in barriques. It has minty notes, very balsamic, hinting on eucalyptus, with some herbal aromas and a full body and plenty of fine-grained tannins. Another powerful blend from Salta. 6,700 bottles were filled in December 2014. A red with a linear seriousness that gives the wine form and verve. Full to medium body, silky tannins and a long and flavorful finish. Plenty of blackberry and stone aftertaste. Well crafted. 61% malbec, 25% cabernet sauvignon and 14% cabernet franc.